The Home Office has released figures that show alarming increase in vehicle thefts. 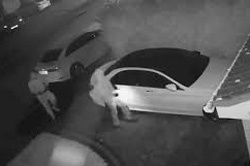 Vehicle theft has risen by 7% in the last 12 months and has impacted communities across the country, however if a longer term view is taken, in 2013-14, 75,308 vehicles were stolen, but by 2017-18 the figure had increased to 111,999. The Policing Minister, Nick Hurd, has recently chaired a new taskforce to tackle the crime of vehicle theft. The taskforce replicates the successful model used to reduce moped-related crime in London, which fell by a third in the period from January to October 2018 compared with the same period in 2017 last year. It will drive forward action to reduce and prevent vehicle crime and promote best practice. The taskforce will meet every 6 months and publish an action plan with new measures. Vehicle theft has risen by 7% in the last 12 months and has impacted communities across the country. “We are determined to take swift and decisive action on emerging crime threats. With rates of vehicle theft increasing, I am keen to ensure everything is being done to prevent these crimes. Drawing together the police, industry and government proved to be a successful way to see what more could be done to support police efforts to tackle moped crime and I’m eager to see the results of applying a similar model to vehicle theft.